Ships today if you order in the next 12 hours 47 minutes. Adrenal fatigue is an ailment that's much more common than many people realize. Most people don't even realize they have it. High stress levels are the main cause of adrenal fatigue, and if you've been looking for a way to support your adrenal glands, Dr. Wilson's Adrenal POWER Powder is a great option. Because high stress levels slow you down and have negative effects on your adrenal glands, you can be left tired and run down. It may feel like energy just doesn't exist, and that can make it hard to get things done and make it through your day. 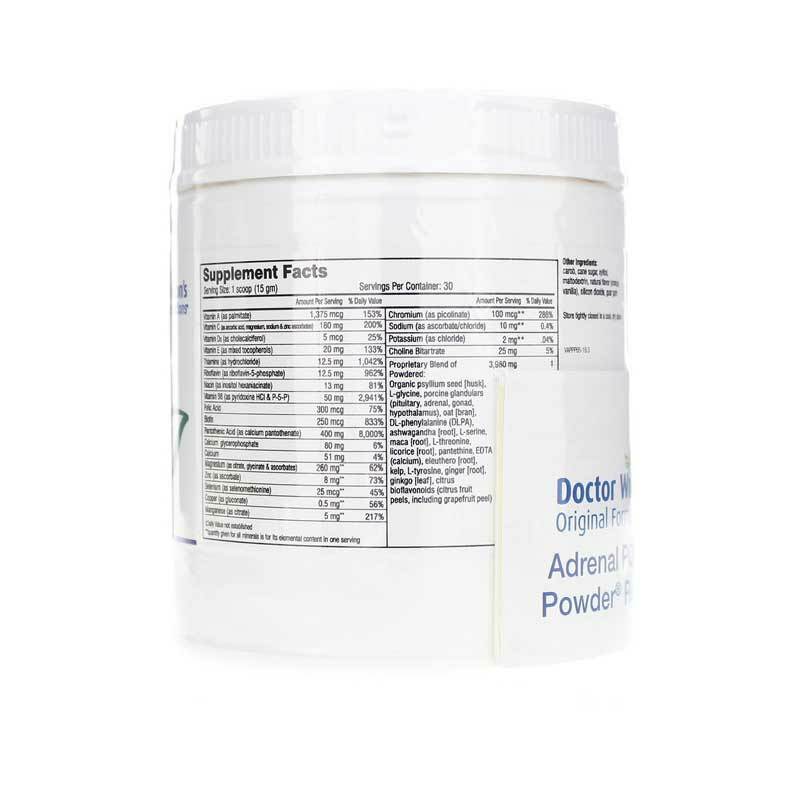 Dr. Wilson's Adrenal POWER Powder contains natural vitamins minerals, and other nutrients that are formulated to work together with Dr. Wilson's other adrenal support products to provide you with optimal support for improved adrenal health. Make the choice to support your overall health by keeping your adrenal glands at optimal health. 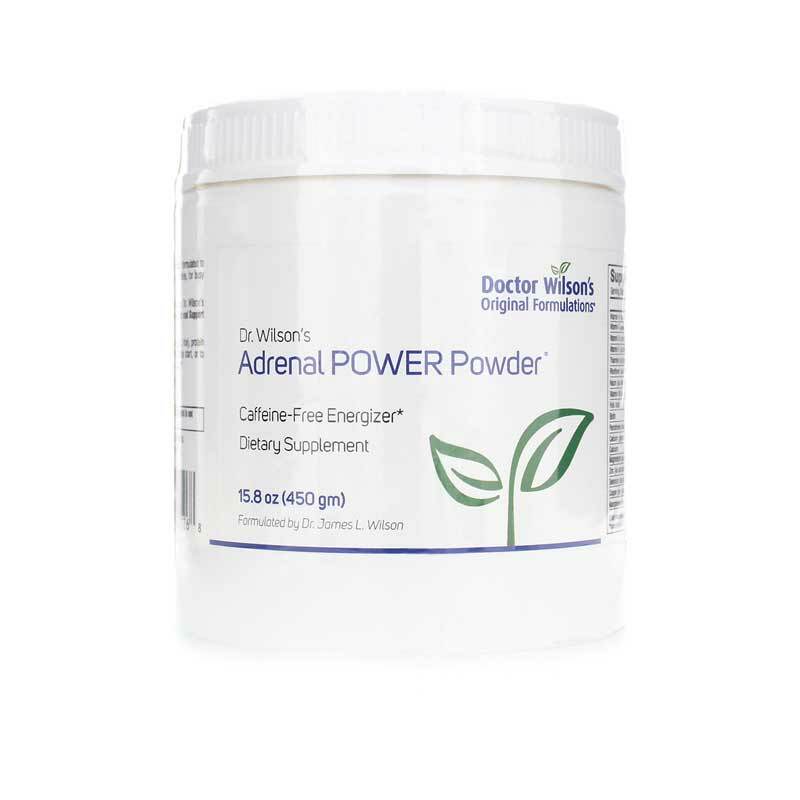 Try Dr. Wilson's Adrenal POWER Powder today! ---L-glycine, organic psyllium seed (husk), porcine glandulars (adrenal, orchic, hypothalamus, pituitary), oat (bran), maca (root), DL-phenylalanine (DLPA), ashwagandha (root), L-serine, L-threonine, bioflavonoids, pantethine, licorice (root), L-tyrosine, EDTA (calcium), kelp, eleuthero (root), choline bitartrate, ginger (root), ginkgo (leaf). 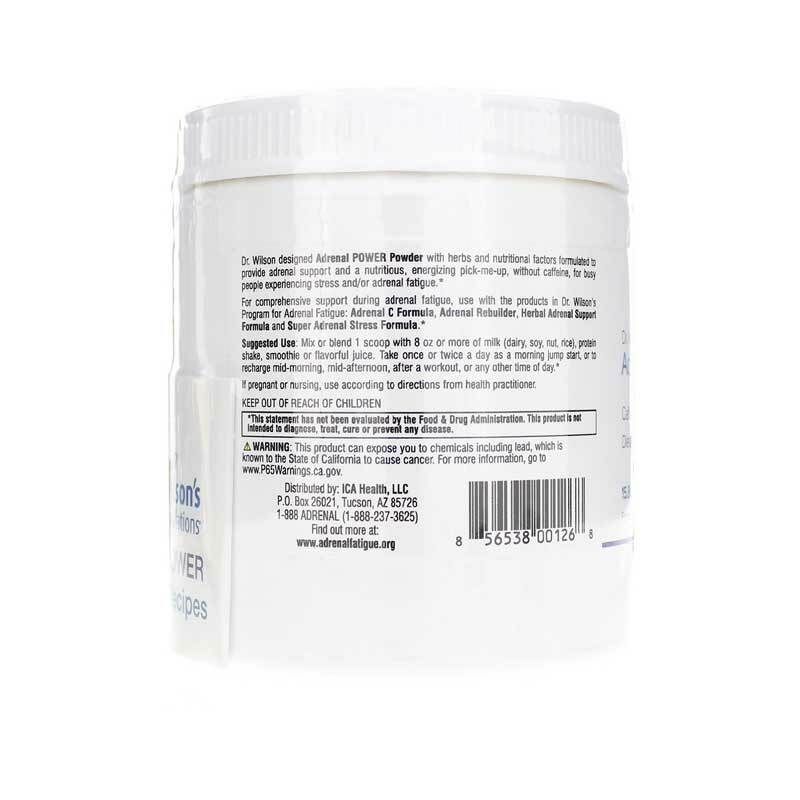 Other Ingredients: raw cane sugar, xylitol, carob, maltodextrin, natural flavor (tangerine, vanilla custard), silicon dioxide, salt and carrageenan gum. Contains NO: dairy, caffeine, egg, wheat, gluten, nuts, yeast, corn, artificial coloring, flavoring or preservatives. Adults: Mix or blend 1 scoop into 8 ounces or more of milk (dairy, soy, nut, rice) protein shake, smoothie or flavorful juice. Take once or twice a day as a morning jump start, or as a healthy snack to recharge mid-morning, mid-afternoon, after a workout, or at any other time of the day.